Dogs are kept on a lead at all times while in the hotel and are allowed only in the lounges and bar. Dogs are well behaved and under control at all times. Dogs are never left unattended for long periods in our rooms. Dogs are not allowed on our beds or other furniture. We welcome children to stay. Extra beds or cots are available for a few rooms for children up to 12 years. £15 per night to include breakfast. We offer a children’s menu from 5 to 6 pm in the restaurant. All reservations must be confirmed by credit card with a £50 deposit. (Except Christmas and New Year where the value of the full stay may be requested in advance). Deposits are non refundable, we advise guests to take out insurance against cancellations. If you have to cancel your reservation within 72 hours of arrival then we will also request the first nights accommodation. A reservation is a contract in law and you may be liable for the cost of the total stay. Cheques will not be accepted as a valid form of payment. We welcome cash, Maestro, Mastercard and Visa. We reserve the right to alter the rates quoted without prior notification. Three course A la carte dinner menu is available from 6.30pm with last orders at 8.30pm. There isn’t a strict dress code, but reservations are advisable. Available by booking at least 24 hours in advance. Enjoy tea, scones, jam and cream and sandwiches in a lounge of your choice or in the walled garden. Afternoon tea £16.95 per person, full afternoon tea with a glass Prosecco £21.95 per person. Do you serve food throughout the day? Throughout the day The Traddock serves a selection of freshly made sandwiches, soup and beverages. 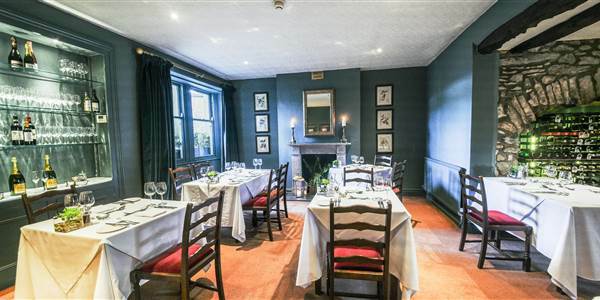 Our restaurant is open for lunch every day serving a wide lunch menu from 12.00- 2.30 pm, prices and our latest menu can be found here. Check in is from 2 pm. If you are arriving earlier than this, then please advise us in advance and we will do our utmost to ensure the room is ready for your arrival, although we cannot guarantee it. We kindly request that guests check out by 11 am on the day of departure. Do you have rooms accessible in a wheelchair? We have one room on the ground floor, that can be reached in a wheel chair. 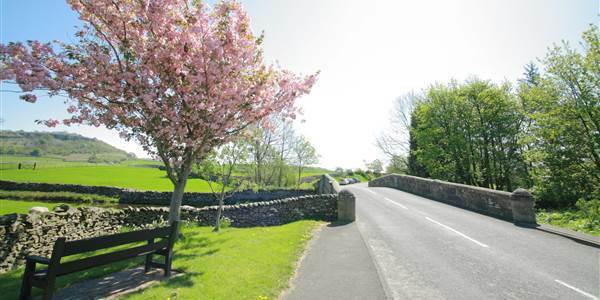 Giggleswick railway station is located about 3.5 miles from the Traddock and is a short taxi drive away. The nearest mainline station is Settle (4.5 miles away) which has regular connections to Manchester and Leeds. Travelling time from Settle to London is just over 3.5 hours. What facilities do the rooms have? All rooms have a private bath and/or shower, 22 channel digital TV, free Wi-Fi, direct dial telephone, tea and coffee making tray and hairdryer.